Produktinformationen "Korean Cinema from Origins to Renaissance"
Korean cinema is already more than a century old. As with the film histories of other countries, Korean film history has always been closely linked to the formation of modern society. Thus, Korean film history must be part of the same social and historical foundation that modern society is based on. In Korea, films were only an exotic spectacle when first introduced. Then, when Korean filmmakers had just started making films, they had to go through severe censorship during the colonial period and various military governments. It has not been an easy journey for Korean cinema to grow into a world-renowned success story. It had to survive many external and internal threats and moments of crisis. It is natural that many people are eager to know how the domestic film market share soared from a mere 15.9 per cent in 1993 to 60per cent in 2004, the box-office quadrupled over one decade, and such diverse films are made. The key to success has been creativity and powerful content, supported by the greatest accomplishment of the Korean film industry: the abolition of restrictions and censorship. There is also the common experience of national division and the history of dictatorship. Some foreign film professionals ask me what policy was required to achieve Korea's success. I always give them the same answer: if there is any restriction, abolishing it is a prerequisite, as freedom of expression is more effective than any other support. The history of the Korean cinema itself proves this. 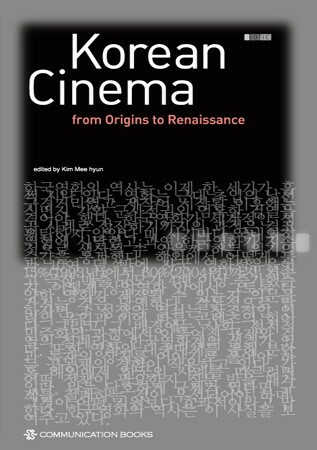 Weiterführende Links zu "Korean Cinema from Origins to Renaissance"
Unser Kommentar zu "Korean Cinema from Origins to Renaissance"
Kundenbewertungen für "Korean Cinema from Origins to Renaissance"